In Christopher Paolini's thrilling Inheritance series, when a young boy named Eragon finds a blue gemstone in the middle of the forest, he has no idea what magic is in store for him. It hatches a sapphire-blue dragon, a member of a race thought to be extinct. Eragon bonds with the dragon and soon discovers that he is the first in a new line of Dragon Riders, fated to play a part in a war that is poised to sweep his land. 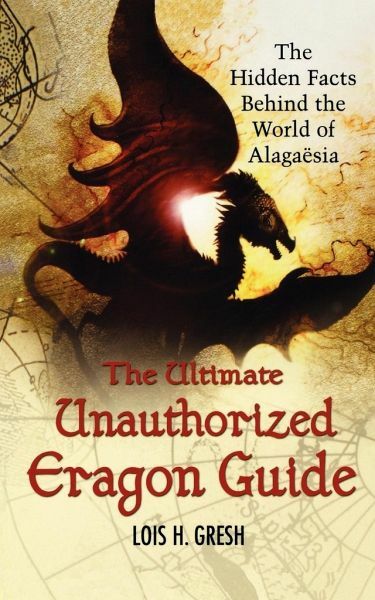 "The Ultimate Unauthorized Eragon Guide "is an interactive book that looks deep inside the complex world of Alagaesia to reveal facts behind the magical people, places, and creatures that fill the Inheritance series. Also included in this comprehensive guide: * An in-depth look at the many folk references, myths, and legends that form the basis of the books * Fascinating facts about dwarves, giants, shades, and other creatures * A fascinating trip through the lore of dragons * Tips for writing your own fantasy story * A biography of the author Plus tons of fun boxes and more! This book is a must-have for any fan of the Inheritance books.